You Tube Check out our channel for product reviews, recipes, and more. and get the same advantages and benefits. 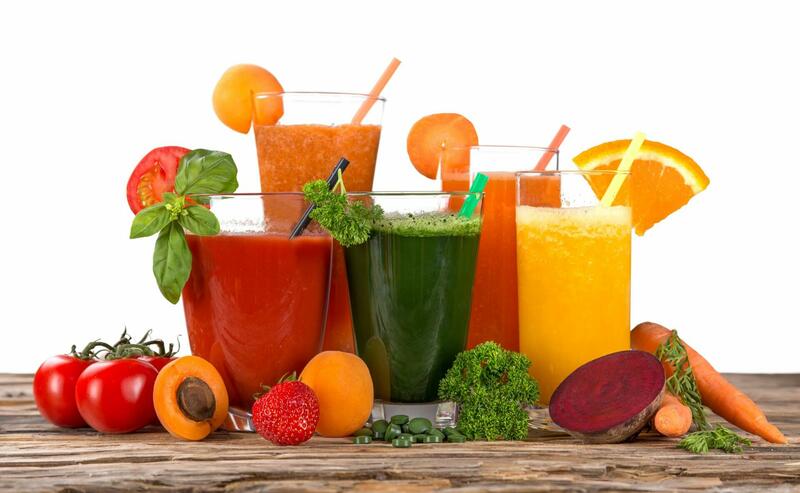 New Year’s detox in an easy and tasty way – clean your body with fresh fruit and vegetable juices! Your stomach and liver will be relieved after Christmas overeating and the whole body gains a lot of new energy thanks to getting rid of toxins. At the same time you can lose some weight. Doesn’t ‘t it sound great? Just 2 fresh fruit or vegetable drinks a day will do! Your stomach and liver will be relieved after Christmas overeating and the whole body gain a lot of new energy thanks to getting rid of toxins. At the same time you can better loose some weight. Doesn’t ‘t it sound great? Just 2 fresh fruit or vegetable drinks a day will do! Plenty of greasy food, sweets, alcohol and so on – you don’t have to be a nutrition specialist to understand that it’s not the ideal way of eating. Moreover, your body let you feel it through stomachaches, fatigue and fat storage. Therefore New Year is the best time to start your detox to properly clean your organism. Many people think that detox means something really awful like drinking liters of bitter herbal tea and chewing strange plants. This is a huge mistake. Detoxification of organism can be achieved in a very tasty way. There is a very common fault – people start suddenly without any preparation. In order to have the best possible results, you have to go step by step and let the organism get used to it. The darker fruits and vegetables are, the higher detoxifying effect you can expect. Always keep in mind that all kinds of fruits and vegetables have detoxifying effect on your body. So if you don’t’ like the above mentioned ones, you can start with juicing apples or carrots. And why is juicing necessary? Is it not enough just to eat more fruits and vegetables? The think is that detox by drinking fresh juices have much better results compared to eating the whole fruits. The main reason why is the fact that our body can’t digest roughage, which is mainly contained in peel and pulp. Juicing extracts these parts, so your digestion can focus just on vitamins, minerals and other beneficial substances, which detoxify your organism and improve immunity system. Instead of digesting the whole piece of fruits and vegetables for a couple of hours your body absorbs up to 68 % of nutrients from juices (just 17 % from whole pieces) in just 15 minutes. For starters, it’s enough to replace your snack with 2 little drinks a day. But the impact is significantly lowered in case you have hamburger with French fries and mayo for lunch or dinner. During the time of detoxification you should eat light food, which helps your body to clean. After some time you can try one day in the week just on juices. Such a cleanup has a huge impact and you gain loads of energy. But be careful about your menu – it should be light and also take care of fluid intake! If you want to get the top quality juice made of a very wide range of fruits and vegetables including root and green vegetables, you should choose the juicer with appropriate features. The best choice is undoubtedly group of low RPM auger juicers, which are very universal and are able to process almost every kind of fruits and vegetables. They preserve maximum of beneficial substances, which you need for your detox. They are also very easy to clean, so you don ‘t have to waste your time by washing. Let’s juice and do a step towards a healthy lifestyle! Would you like to get interesting tips, ideas or recipes for fresh juices? Sign up for our newsletters today from EU Juicers and Sana Store!